The information above details your giving history and donor point total associated with The Ohio State University and the Department of Athletics. If you have any questions pertaining to your account, please contact our office at BuckeyeClub@osu.edu or 614-292-9908. 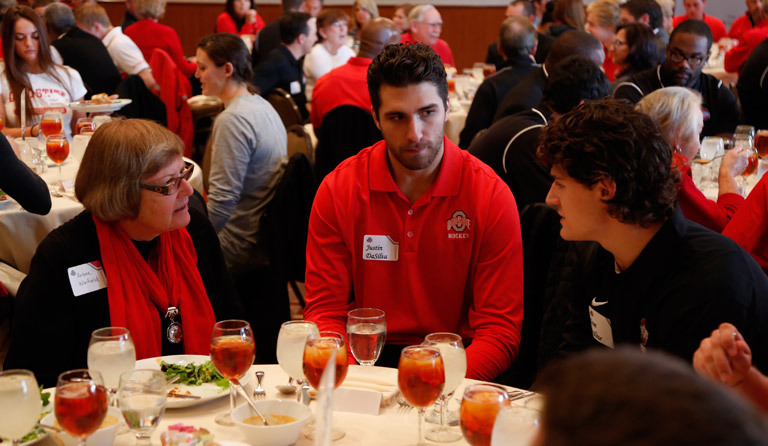 The 1888 Society Luncheon was designed to recognize and thank 1888 Society endowment holders and provide an opportunity for them to meet with the student-athlete that their generosity supports. 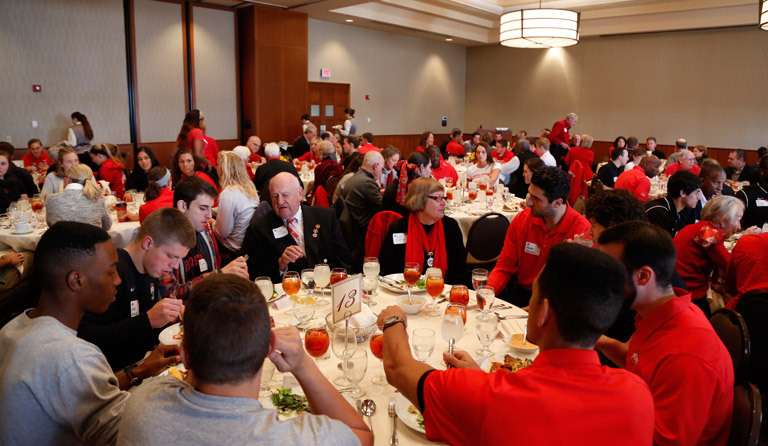 Over 100 student-athletes, coaches, and administrators are present for the luncheon each year. To learn more about the 1888 Society, click here. 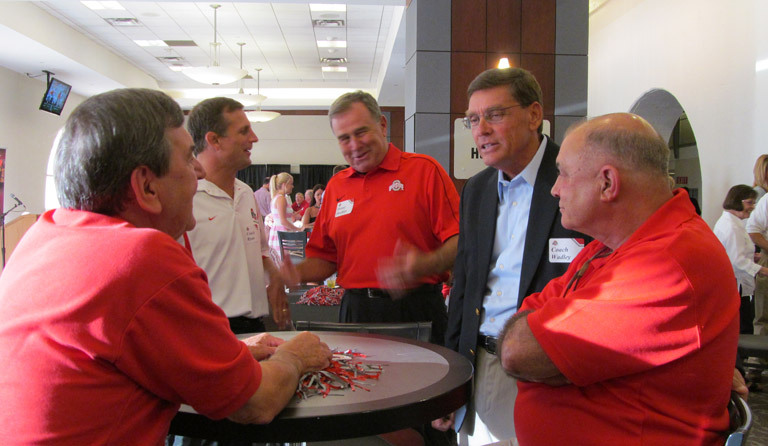 Each year during Thank You Week, the Buckeye Club hosts its annual pre-game reception in French Fieldhouse. 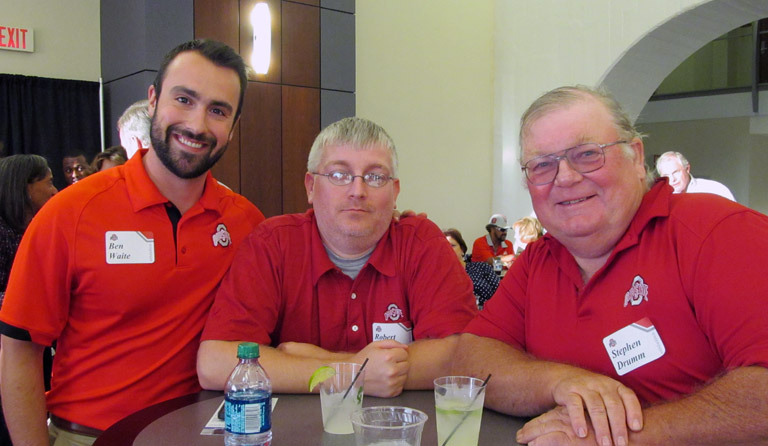 All Buckeye Club members are invited to attend the event, which includes a program featuring staff, student-athletes, coaches and former Buckeye athletes. 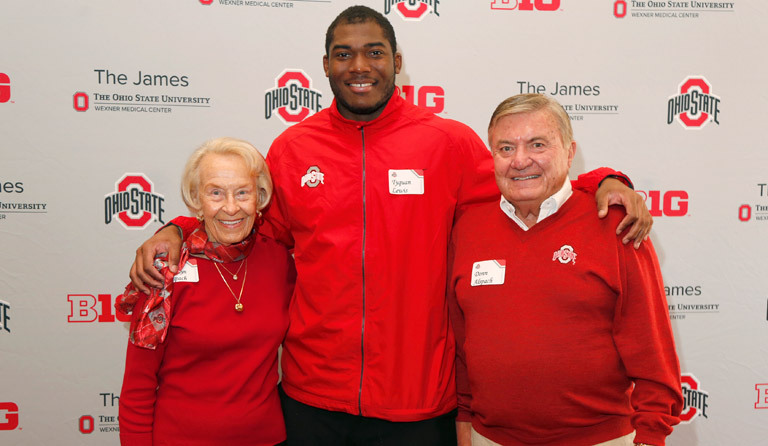 This event provides an opportunity for the Buckeye Club to thank all of its dedicated members for their generous contributions to support OSU Student-Athlete Scholarship Fund. 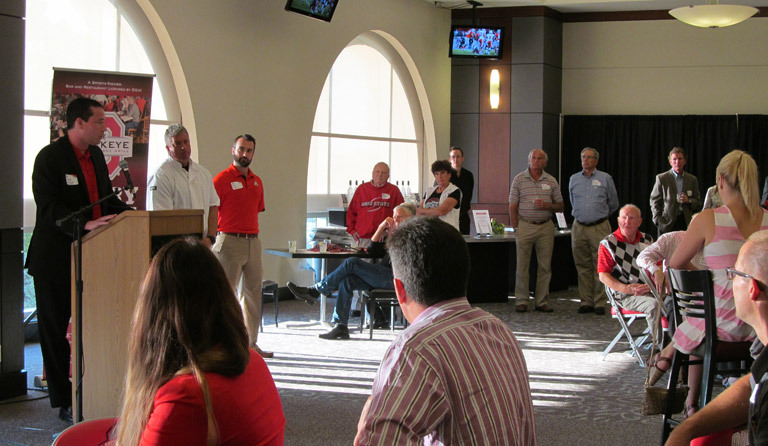 The Buckeye Club hosts the annual 110% Team Event for those that generously go above and beyond by giving 110% of their previous year’s gift. These increased donations have accounted for over $750,000 in added scholarship funding each year! The event includes staff and coaches, as well as, a pairing of hors d’ouerves and cocktails. To learn how to become a member of the 110% Team, click here. Copyright © 2013 | All Rights Reserved, Designed By Summit Athletic Media.